Who is Reba Monica John? Reba Monica John is an Indian actress and model who caught the spotlight after being named as the second runner-up of the popular Malayalam beauty pageant show, Midukki. She made her mark as an actress, playing Chippy in the commercially successful Malayalam film, Jacobinte Swargarajyam, alongside Nivin Pauly and Renji Panicker. She has appeared in a number of TV commercials including Anusree hair oil, Parachute Ayurvedic, Eastern Chicken masala and Dr. Dhatri Hair Oil. Reba Monica John was born on the 4th February of 1994, in Bengaluru, Karnataka, India. She is currently 25 years old. There isn’t much information about her family including her early life. Specifics about her family members like her parents’ name or siblings details are not available. As for the educational qualification of Reba Monica John, she attended Sacred Heart Girls’ high school, graduating in 2008. She, then, enrolled at the Christ University in Bangalore from where she earned her bachelor of science degree in Chemistry in 2015 and graduated with a masters degree in the same branch and college in 2017. Speaking about Reba’s love life, she is very reluctant to discuss her private life to the media. Apparently, she’s single and looking at the host of projects being lined up, it is clearly evident that she is fully dedicated to her acting career. Also, there isn’t any relevant information about her current or past love affairs on her social media accounts either. 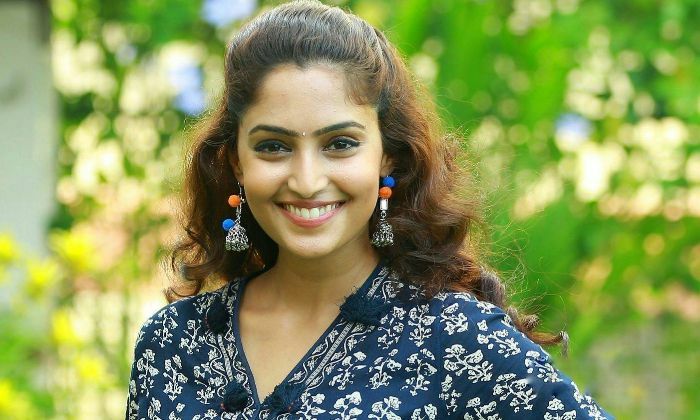 Reba Monica John landed her first onscreen acting role, playing the character Chippy, the love interest of Jerry Jacob (played by Nivin Pauly), in the 2016 Malayalam drama film, Jacobinte Swargarajyam. The film was a major success at the regional box-office, minting around $3.5 million against the production budget of $900 thousand dollars. She made her Tamil debut with a starring role as Keerthi in an action and black comedy film, Jarugandi, in 2018. Reba’s first television appearance came in 2016 when she competed in the Malayalam beauty pageant-themed reality show, Midukki. She finished 2nd runner-up of the show, which aired on Mazhavil Manorama. She came into greater prominence in 2016 when she was cast in the female lead Vineeth Sreenivasan’s drama film, Jacobinte Swargarajyam. The film was a huge success, and her performance in the film was highly lauded by critics, in fact, it is still one of the best works in her career. Reba has appeared in a number of television adverts for brands like Anusree hair oil, Eastern Chicken Masala, Parachute Ayurvedic, m4 Married.com, Mosquito nets, and Dhatri Hair Oil, among many others. She is the cousin of actress Anu Emmanuel. Reba used to compete in several beauty pageants before launching her acting career. She was also named Times Clean & Clear Fresh Face Runner-up. Before fame, she worked as a model, featuring on TV adverts, print ads and modeling gigs. She won the 2018 Asianet Film Awards for Best Star Pair for her role in the Malayalam-language movie Paipin Chuvattile Pranayam. When not working on films, Reba enjoys spending her free time blogging, dancing, hanging out with her friends and traveling. Reba is also active on different social media platforms such as Instagram, Twitter and Facebook on which she also regularly uploads videos and pictures from her everyday life. She has over 230k followers on Instagram. Reba Monica John is currently working alongside actor Vijay in his yet-untitled movie, being referred to as Thalapathy 63 for time-being.